It was March of 1995. Former Alabama Governor George Wallace, the man whom Dr. Martin Luther King, Jr. had referred to as a vicious racist and the individual whom Colman McCarthy of the Washington Post said was “both the symbol and enforcer of anti-black racism in the 1960s was visiting St. Jude’s Church in Montgomery to mark the 30th anniversary of the Selma-to-Montgomery march. Sixteen years before this, Wallace had made an unannounced visit on a Sunday morning to the Dexter Avenue Baptist Church where King previously pastored in the 1950s. Having suffered greatly from a gunshot wound inflicted by a would-be assassin in 1972 that permanently placed him in a wheelchair, Wallace was rolled up the aisle of the church to speak. He told the congregation that he had learned something about affliction that he could never have learned before the attempt on his life. He said he thought he knew something now about the pain blacks had come to endure. He said: “I know I contributed to that pain, and I can only ask for forgiveness,” he said. Today’s lessons speak to us of the need for reconciliation. We begin with the beautiful story of Joseph—Jacob’s son, he who was, possessed of the coat of many colors, as well as a healthy dose of pride, who received his come-uppance from his jealous brothers who sold him into slavery. Years later Joseph rises to a position of power in the Egyptian court. During a time of famine, he finds himself in a position to inflict retribution upon his brothers. He offers reconciliation instead. Take a moment and put yourself in his position. Ask yourself…what would you have done? Later, in the Gospel lesson for today Jesus addresses the dietary laws of the Jews saying “it is not what goes into the mouth that defiles a person, but what comes out of the mouth that defiles…for what comes out of the mouth proceeds from the heart....” Think of it this way—the words you speak are a window to what lies in your soul. This past week, we’ve learned a great deal about what resides in the hearts of many people in our country—and, clearly, it’s not all good. There’s a great deal of anger and hate out there. Now, this hate, it’s not new. It’s been simmering underneath the surface for eons. What is new is that the current social and political climate in our country has given license for messages of hate to gain legitimacy. 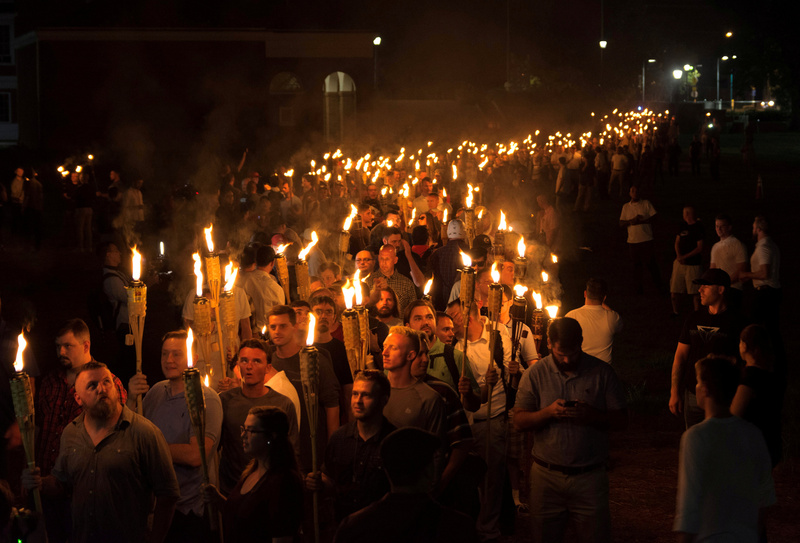 What’s more, with advances in technology—it’s become easier to spread messages of racism, anti-Semitism and hatred to disenfranchised, angry and disillusioned people in our world. How are those of us who profess faith in a loving, merciful and compassionate God to respond? I would suggest to you that the lessons from the Bible that we have been blessed with today offer us a good place to begin. Joseph of the Old Testament had every reason to wish ill upon his brothers—and, what’s more, he had had years in which to contemplate revenge. In the end, he gave that up in an effort to reach out to the very people who wished him ill. He let go of the hurt—and, it seems to me, he allowed the experience of becoming a slave make him into a better person than he was before he was tossed into the pit and sold into servitude. How do these ancient stories help to inform us for how we are to respond to the hatred coursing through our country today? Perhaps, like Joseph, we begin by taking a long, hard look at what truly resides in our hearts. The neo-Nazis, racists, bigots and haters of people different than themselves—do we simply wish them ill—or do we want to turn their hearts? And, if we do truly wish for them a better, more loving life than they are currently leading—what words do we use—and how are these words a reflection of what resides in our hearts? Because, in my experience, hatred met with hatred gets us nowhere—but hatred, come face to face with love, has every possibility of effecting change. Silence, however, is not an option. To say nothing in the face of evil is equivalent to complicity. Words matter—and actions matter even more. As followers of Christ, we are to speak—and in speaking, we are to choose our words carefully—to refuse to allow the hatred that belongs to others mutate into our own. And our Savior tells us that we are to act; we are to work for justice and peace, to incorporate the message of God’s mercy and love to all people. • What is one concrete action you can take today to oppose the despicable actions in Charlottesville and elsewhere in our country? • How can you help address issues of racism and bigotry in your own community? There is hope for the turmoil in our country and our world. In fact, we need look no further than the life of George Wallace, to see how repentance, reconciliation—word and action, can make changes not only in the life of one person, but for our country as well. As Governor of Alabama, Wallace sought to show repentance for his racism. During his tenure he would make significant appointments of blacks to state government positions. In his last race for governor he won 90 percent of the black vote. Wallace moved from hatred to reconciliation; and I’ve no doubt that the witness of loving, non-violent Christians, were one of the reasons his heart was able to change. Now, that was good news not only for Governor George Wallace, but also for all of us. Let your words be gracious, and your actions meaningful as we work together for justice and peace in our world. In Jesus’ name. Amen.